Schooled in European art traditions and filled with national pride, a small community of artists came together in 1920 to form the Group of Seven, whose objective was to produce distinctly Canadian imagery. The impetus for this association was Lawren S. Harris (1885–1970), who firmly believed in the need for a national art movement. 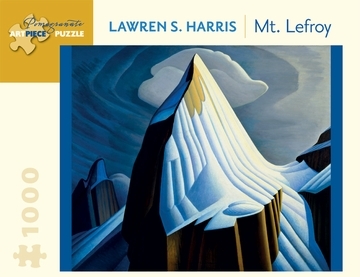 Harris painted the Canadian landscape with enthusiasm, capturing the majesty of its wilderness and its inherent spirituality. His oeuvre includes representational, expressionist, and abstract work, which he often fused to masterful effect.